Why should I sign in and participate in the chat? How do I request prayer? My video pauses or becomes pixelated. How do I fix that? I keep getting a message “No Playable Source Found”. How do I fix that? I have audio but not video (or some other technical issue). Can you help me? How do I make the video full screen? How do I change languages in the chat window? We strongly believe that the GT Church Online experience is best when you connect with other attendees in the chat. Although we’re not together physically, we can still connect, pray, and learn together. The heartbeat of GT Church Online Campus is to be part of something (as opposed to passively watching). When you participate, we begin to learn who you are, where you are joining us from, and how we can support & care for you as the Church is called to do. Additionally we can help you connect with people in similar life circumstances or geographic areas. During every live service, prayer team members are available to pray with you. Click the “Live Prayer” button below the chat window to request a private chat session. Once you are connected you can communicate with the prayer chat host. Outside of service times you can choose the “Request Prayer” link and complete the form that displays with your Name, Email Address and Prayer need. Your request will be delivered to our Online Campus Staff and Prayer Team. You can also share a public prayer need in the chat window during services. Occasionally the stream is too ‘big’ for some internet connections, or your internet connection may be performing more poorly than normal. The quality of the video should automagically adjust for the best experience but occasionally you may need to manually adjust the settings to accommodate a slower internet connection. 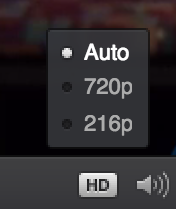 Change the quality of your video by hovering over the video window and select another quality option other than “HD”. This is due to a problem with the Adobe Flash player on your computer. Sure, we will do our best to help you. In the chat window, let the host know that you are having technical issues. The Technical Host can invite you to a private chat session where we can give you some suggestions of things you can try to resolve the issue. We don’t recommend making the video full screen because you will miss out on the community elements of our online experience, but it may be preferred for some audiences to view the video full screen (larger groups viewing on a projector or tv, etc.). 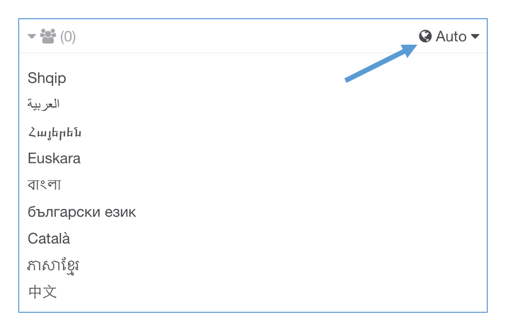 Hover over the video window to display the controls, select the icon that looks like two arrows. To exit full screen press the escape button on your keyboard. Be aware that the chat, prayer, the option to give online and other activities of the online campus will not be visible in full screen mode. Hover over the video window to display the controls, select the icon that looks like a small speaker and adjust the volume up or down. How do I change language in the chat window? If you would like to display the chat in a preferred language click on “auto” and select your preferred language. The chat will be translated into the selected language.